JOURNEY BACK TO A PLACE OF ELEGANCE, STYLE AND WHAT IT WAS LIKE IN THE VICTORIAN ERA. A division of Befitting Just Your Style, Our Victorian Tea will transport you into the Victorian Era, as you step back in time. Use your imagination to find your favorite CHAPEAU, SHAWL, PURSE, BLOUSE, as you might be surprised what you’ll find hidden in your closet or jewelry box, and join in as the Victorian Ladies, Amelia Victoria and Constance Elizabeth take you back to a more gentile time when afternoon tea was celebrated with style and elegance. This event features a Special Celebration Victorian Playlet, small gift for each guest, table pictures, Table decorations, complete Afternoon Tea including Tea Sandwiches, Mini Pastries, Strawberries and assorted goodies, Homemade Scones with Devonshire Crème, Jams & assorted Teas. Located in the charming Chesterfield Hotel, Palm Beach it’s an afternoon of elegance. For many of our guests who have come to tea before there are many new family members who come to call on the Bosworth Sisters so be sure to ask for the newest chapter tea and visit with us again. 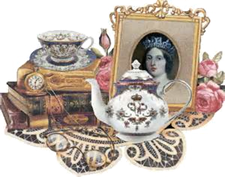 Call us at 1-800-838-5931 to plan your Victorian Tea Befitting Just Your Style! Themed seasonal teas and special occasion teas are available. 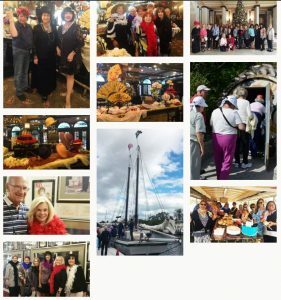 Check out the calendar for a listing of upcoming events at one of your favorite places!